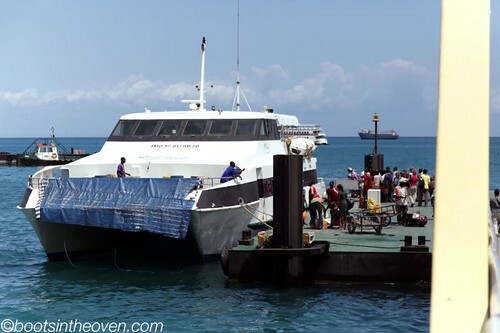 From Zanzibar to the mainland, it's just one bitchin' ferry ride away. Very little vomiting involved (Optional). 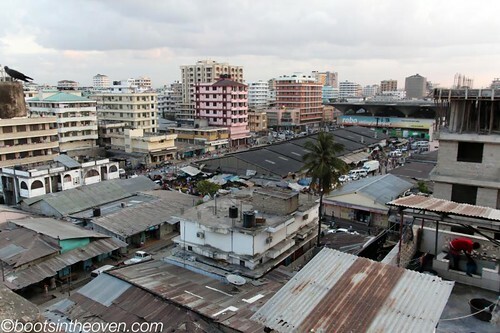 Dar es Salaam is a city run on generators. It's a community of millions, but if you don't have your own private Honda EMC 2800, the odds that you'll be rocking electricity for a full day is slim to none. Kariakoo from our hotel room. Commerce is what Dar is all about. If you're not selling or buying or facilitating one of the above, the city won't have that much to offer you. Luckily, this does mean that the DES (can I call it that?) 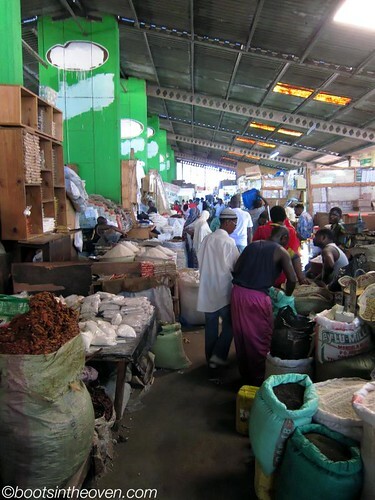 has some pretty fantastic markets, and visiting them is what I spent most of my time doing. The biggie is at Kariakoo. The two large buildings house a disorganized melee of vending insanity: towers of bike parts, sacks of legumes, crates of plastic shovels, mountains of salted fish, and many, many things that I didn't recognize all vie for a slice of your hard earned dollar. 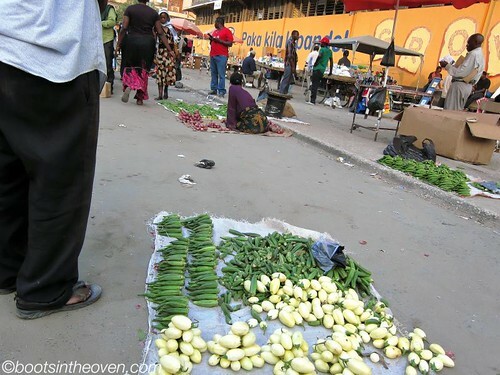 On the streets outside, the market spills over onto mats and blankets. Car coming? No worries, just fold up, let it pass and then restock for bidness as usual. Check out this delicious okra and adorable tiny yellow eggplant. At night, the selling doesn't stop. 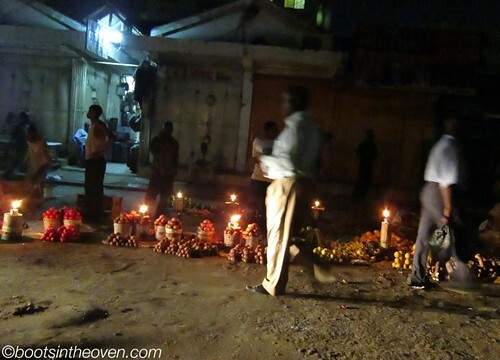 All the vendors just whip out candles and keep right on keeping capitalism alive. It's actually quite beautiful seeing block after block of lovely produce softly lit by the flickering glow. 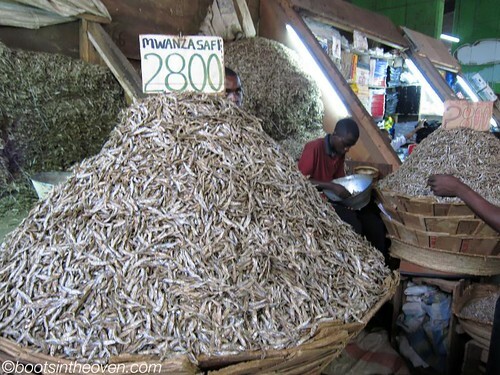 While Kariakoo is the largest, the most impressive is the Kivukoni Fish Market. This place is downright medieval. On one side men constantly feed huge branches into fires that roar underneath massive pots of churning oil. 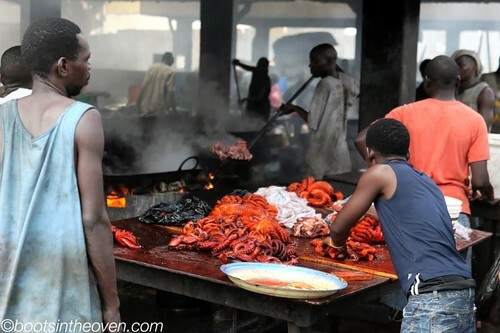 Other men use large strainers on sticks to prod and fry an never ending bounty of fish, squid, and bright red octopus. The entire place is black. It's hot. The thick oily smoke coats everything. Women with mops constantly clean the main walkways but any area off the beaten path is likely to have a tarry coating several inches thick from decades of residue. On the other side, fishermen chop, scale, clean, and even occasionally sell their catch. Groups of people gather in knots to bid on baskets of auctioned sea life. Men use wicked looking steel hooks to drag blocks of ice bigger than they are. Dogs fight over entrails and kids play with tails and air bladders. It's not a comfortable place but it's definitely one you're not likely to forget soon. 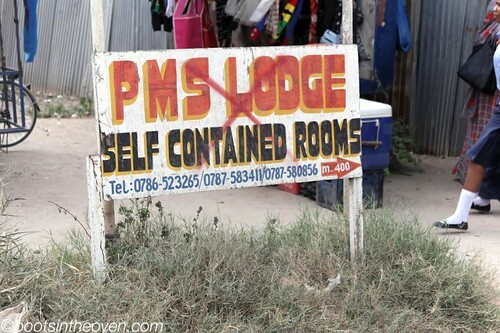 One place you may want to forget. 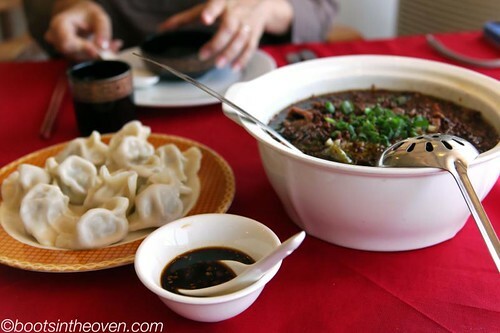 The big bowl of beef and greens called "so spicy that jumping" was a particular standout. 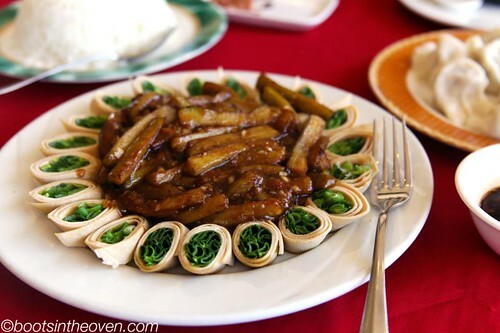 Although I wouldn't turn down a few more servings of the eggplant or dumplings either. 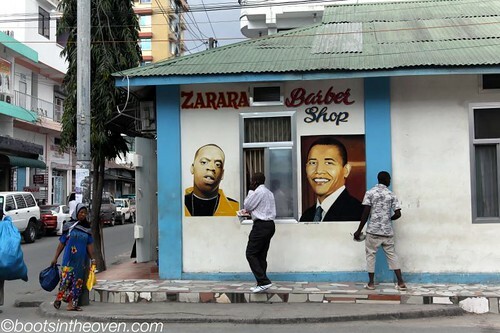 Just remember, the next time you visit Dar es Salaam, Jay-Z and Obama want you to do your part to keep the free market alive! Oh how funny. The pics of Jay-Z and Obama!